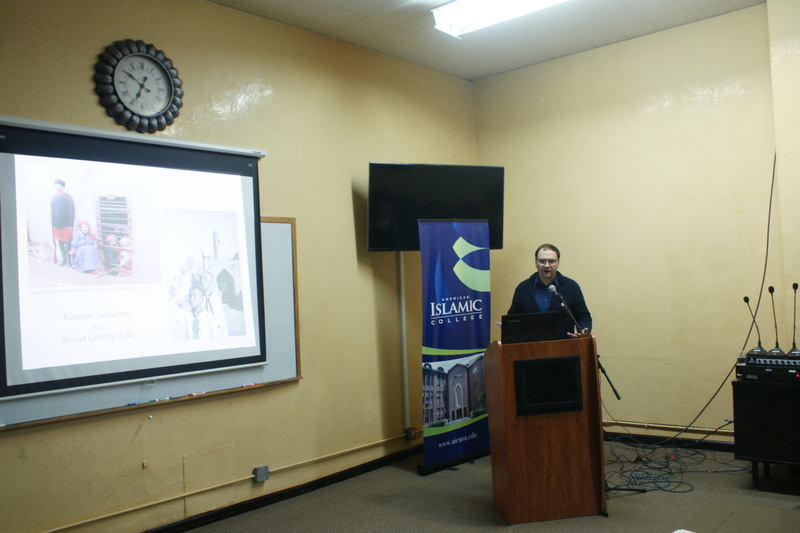 This lecture highlighted the numerous measures undertaken by the Soviet government to co-opt Islamic architectural heritage in Caucasus and Central Asia into the communist ideological project. It discussed the institutional framework of heritage politics in southern republics of the Soviet Union, the criteria for preservation and demolition, and the methodology of restoration developed in the USSR for Islamic architecture. Dr. Igor Demchenko is a part-time professor of architectural history at Illinois Institute of Technology. He received a doctoral degree in architectural history from Massachusetts Institute of Technology in 2015. His doctoral dissertation explored the politics of heritage preservation and the restoration of medieval Islamic monuments in Soviet Central Asia. His research was supported by Kunsthistorisches Institut in Florenz – MPI, Swiss Government Excellence Scholarship, Canadian Center for Architecture, Aga Khan Program for Islamic architecture, and Dumbarton Oaks Research Library. He presented at numerous conferences in the US, Europe and the Middle East, published several articles, and is currently working on turning his dissertation manuscript into a monograph. His publications and presentations explore the questions of non-Western architectural expertise and the problems of historic preservations in Islamic world.